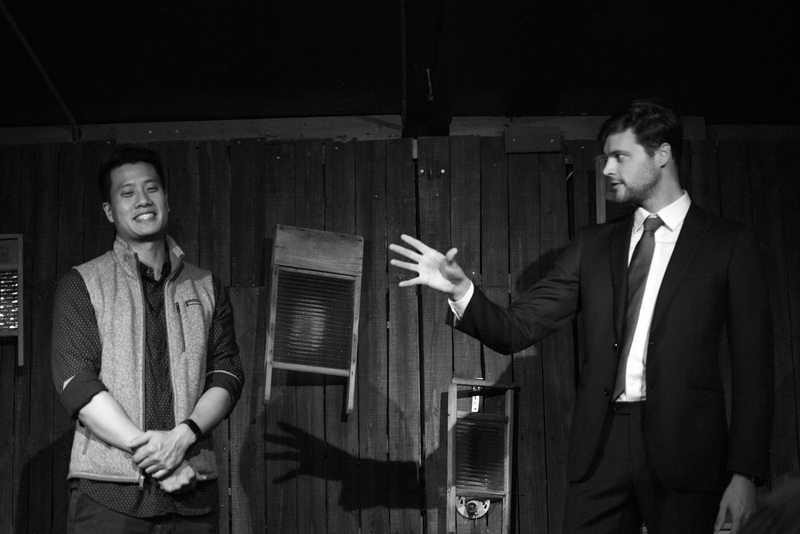 See below for some rare footage of Kevin performing magic for real, living, breathing, non-inflatable audiences. 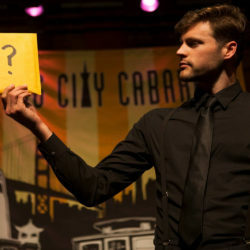 Watch Kevin’s second act in the Judge Cuts of America’s Got Talent, season 13. 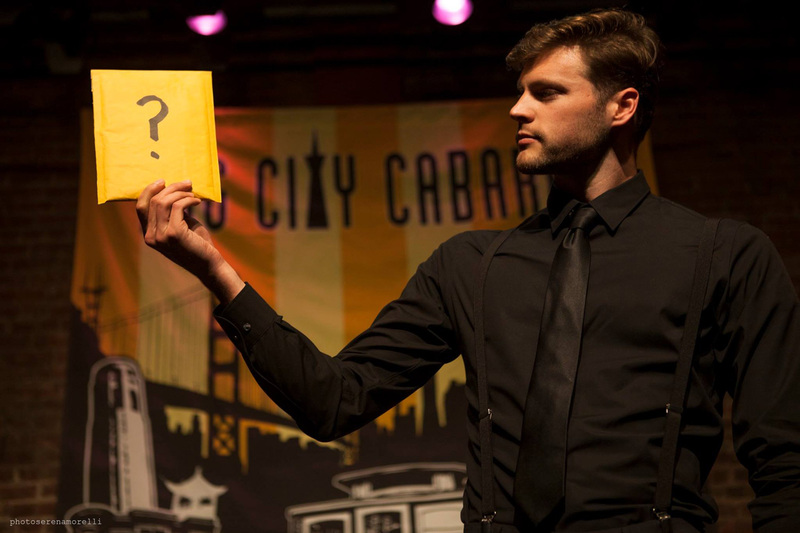 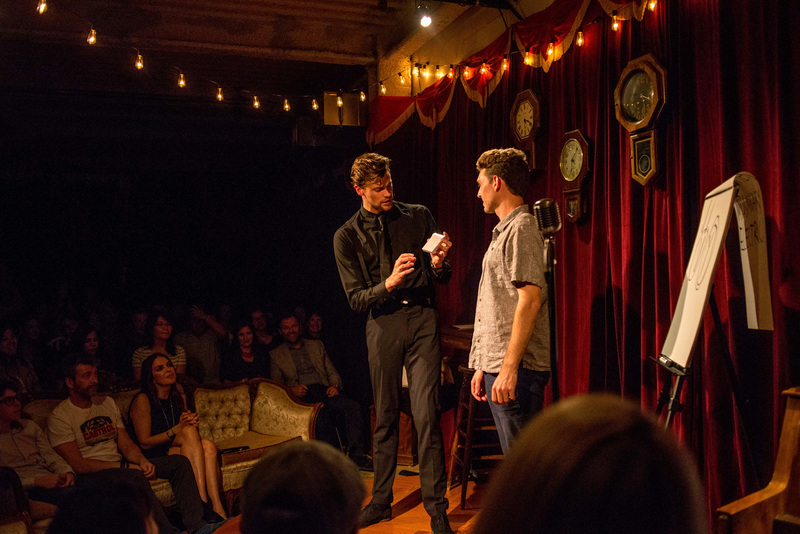 This clip is a highlight reel from Wonder Show, Kevin’s 2016-2017 show, performed at Amado’s in San Francisco. 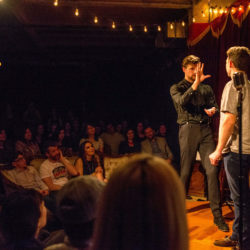 This clip is taken from one of Kevin’s public performances of his 2016-2017 show Wonder Show. 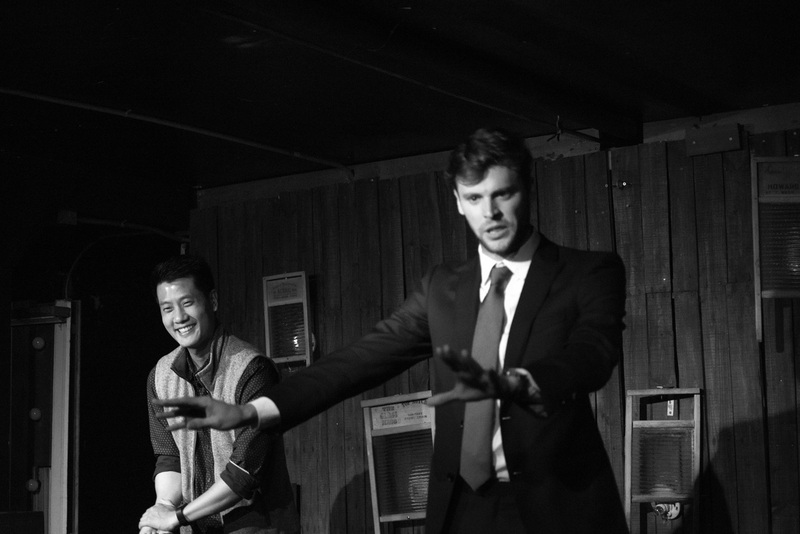 Kevin performs the show every other Thursday at Amado’s in San Francisco. 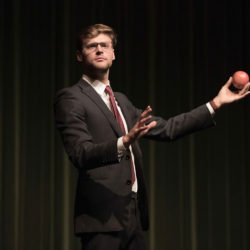 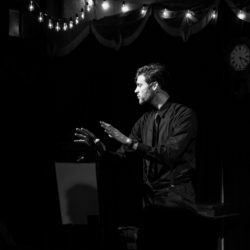 This clip is a highlight reel from Kevin’s first showing of his 2014 show Falsehoods & Fairytales, performed at the Exit Theater in San Francisco. 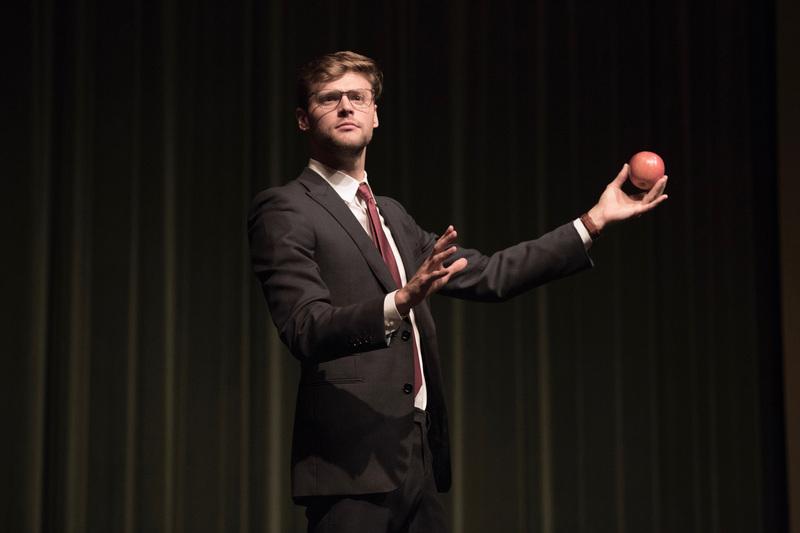 Google asked Kevin to come to their campus in Mountain View to give a lecture on magic. 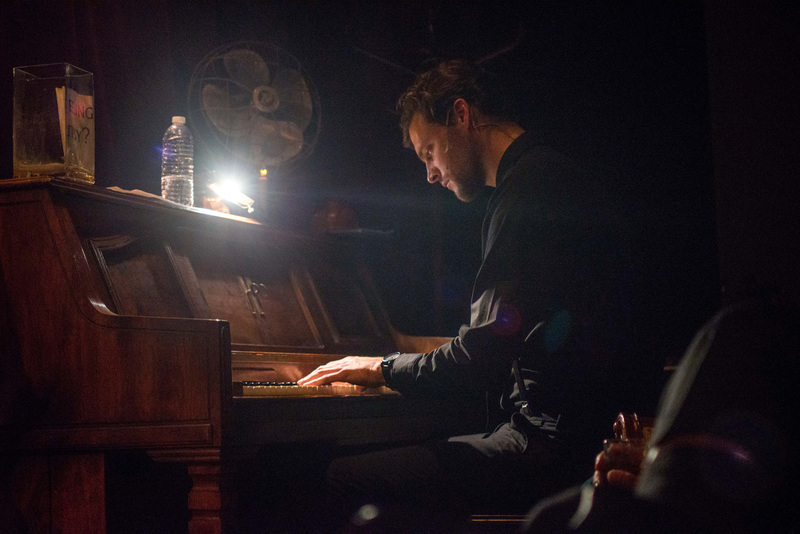 Creating Magical Experiences was the result of a 48-hr. 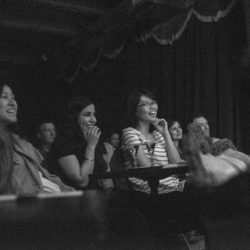 crunch to create a lecture that would be Google-worthy. 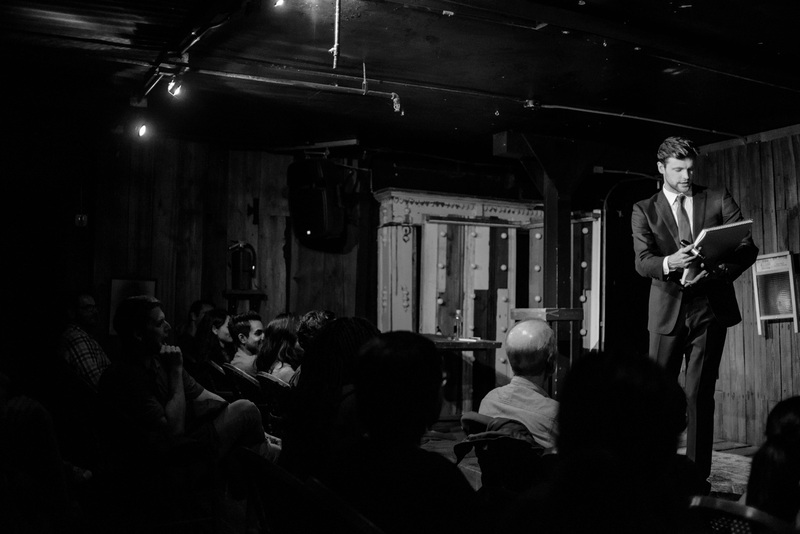 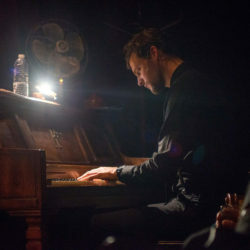 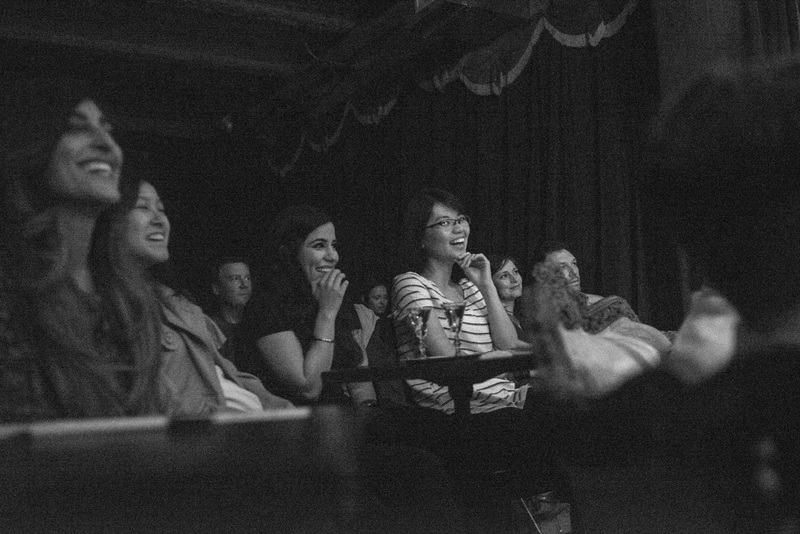 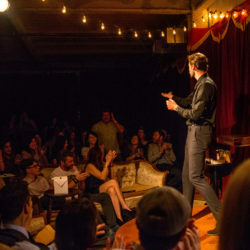 Kevin’s theater shows are unique in that they include elements of spoken word and poetry. 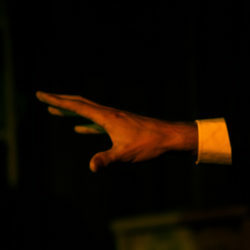 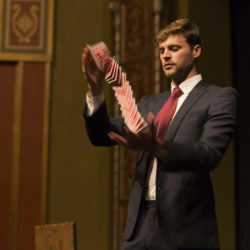 This is an example of his monologue Fears, performed in 2014. 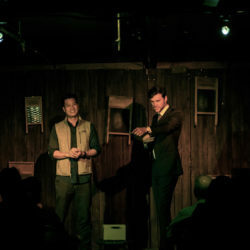 Kevin shows up in photographs. 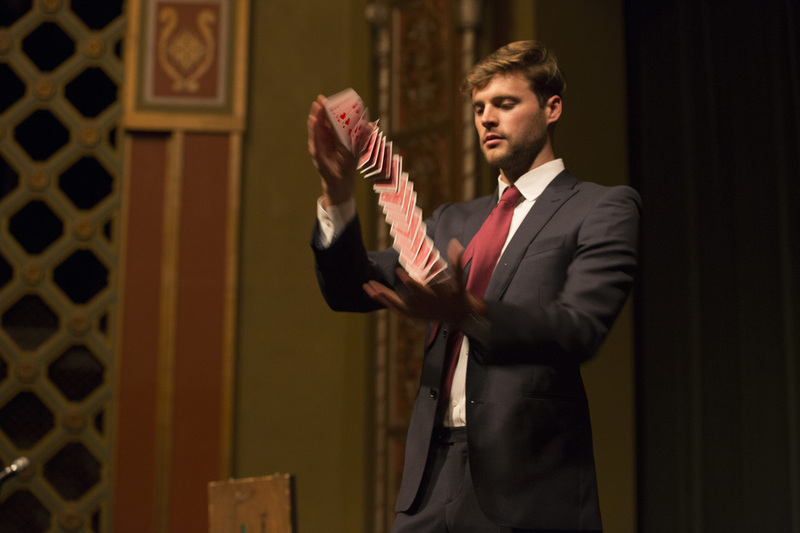 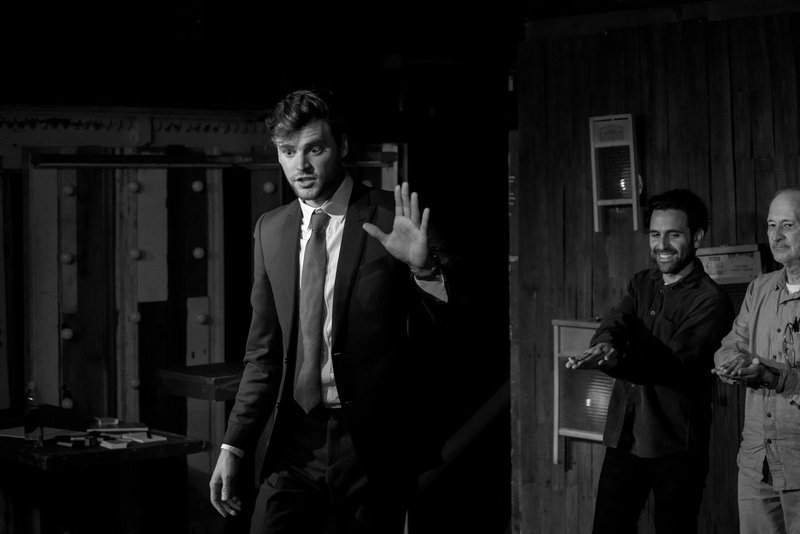 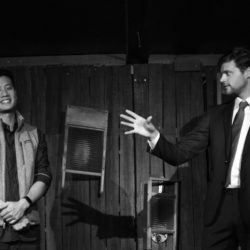 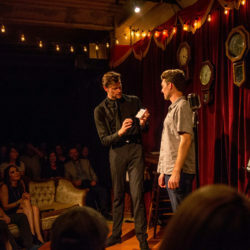 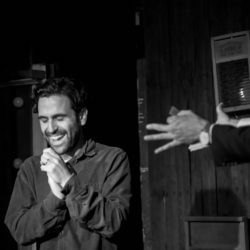 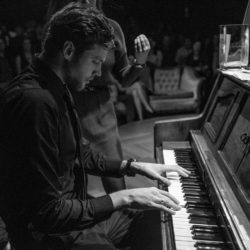 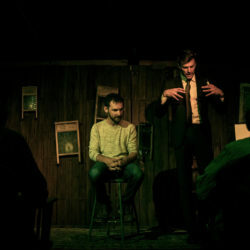 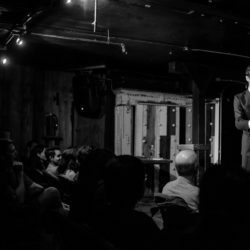 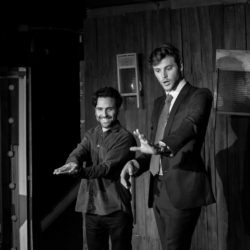 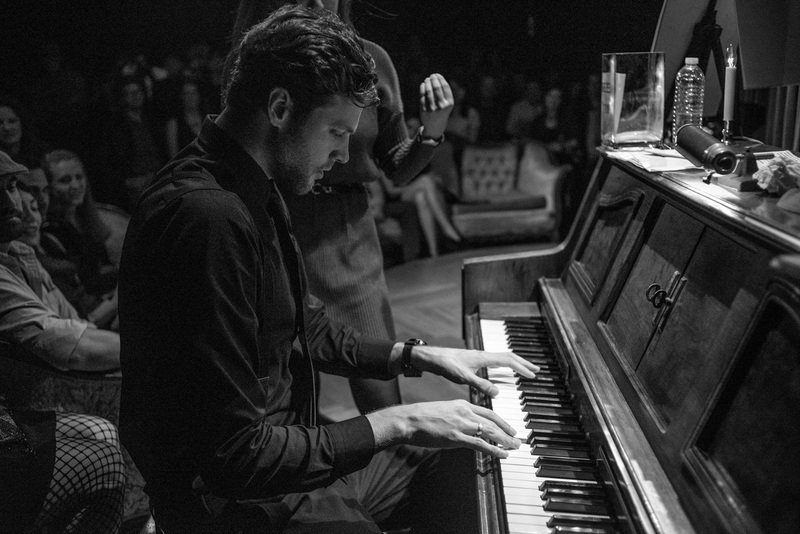 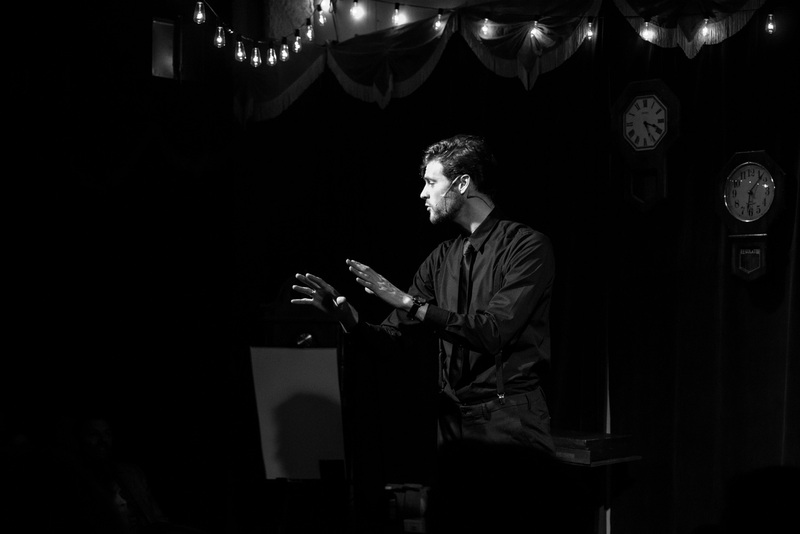 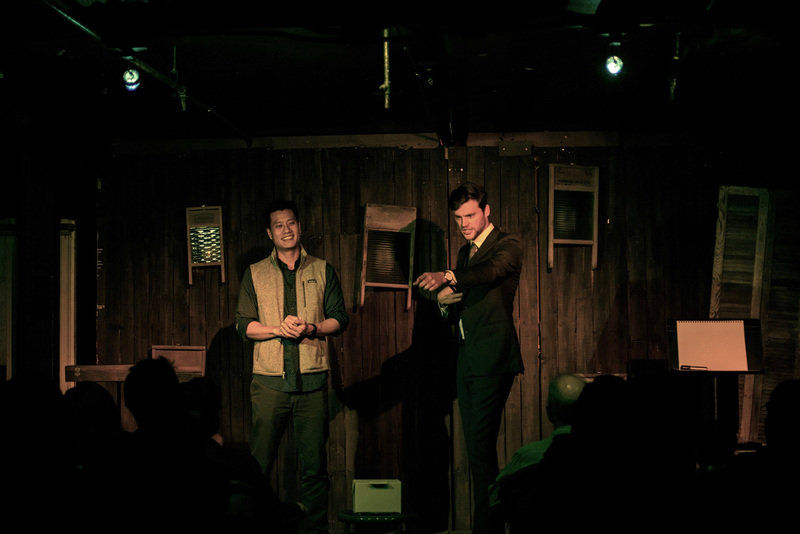 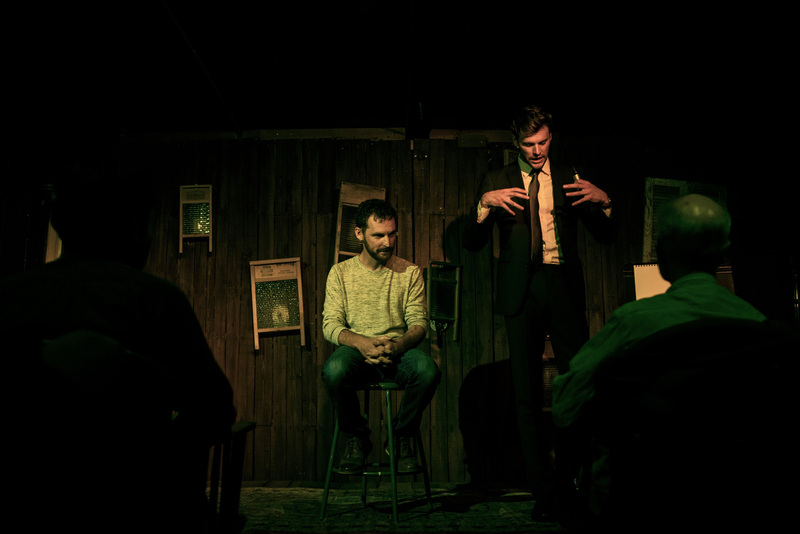 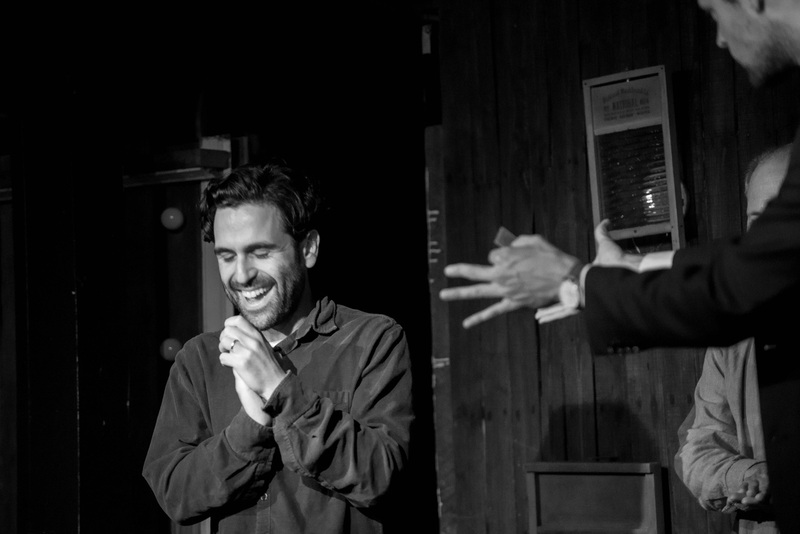 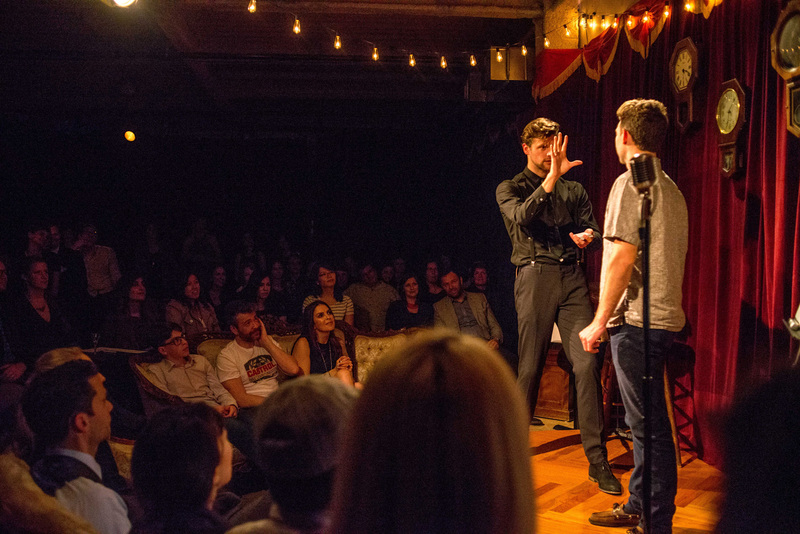 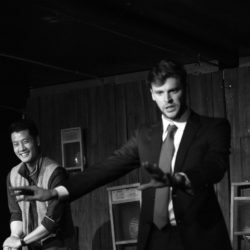 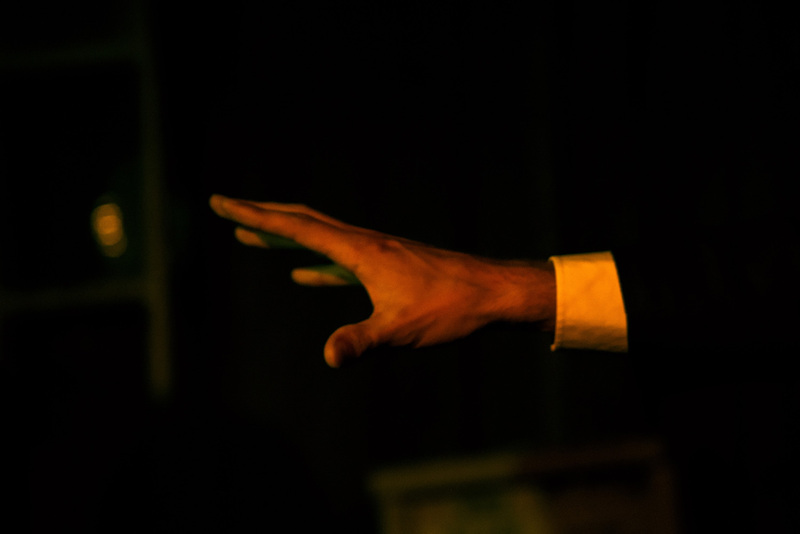 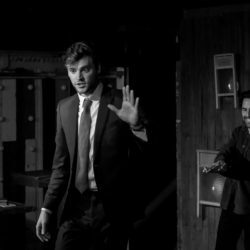 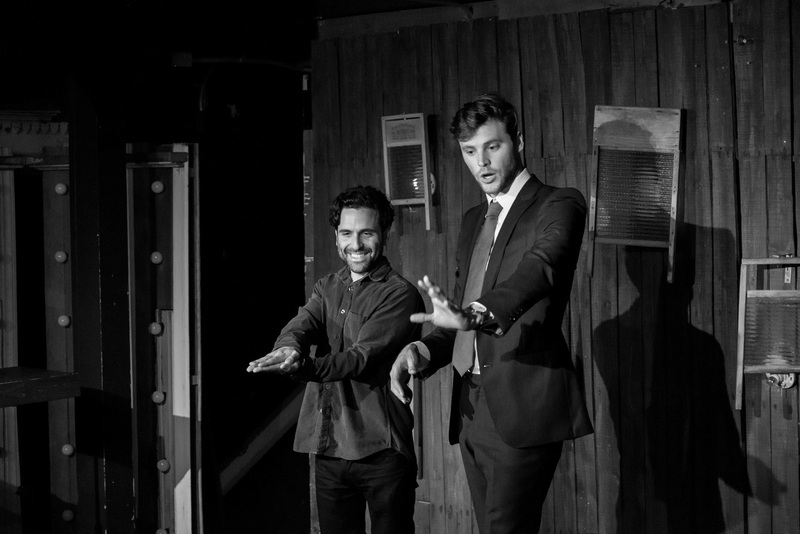 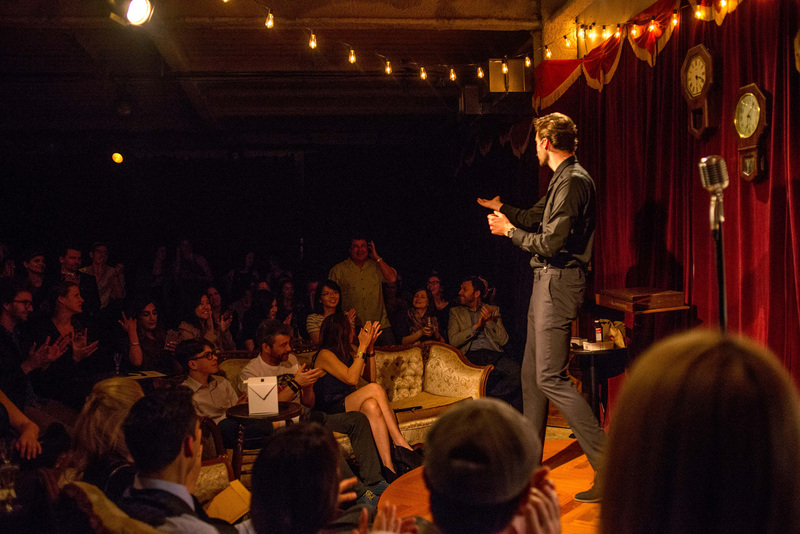 See below for some rare photos of Kevin performing magic at Amado’s, Club 1923, and Exit Theater.